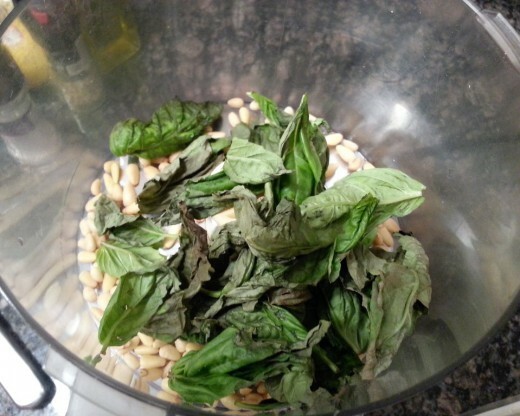 Pesto is one of the easiest pasta sauces to make and has such a great, fresh taste. 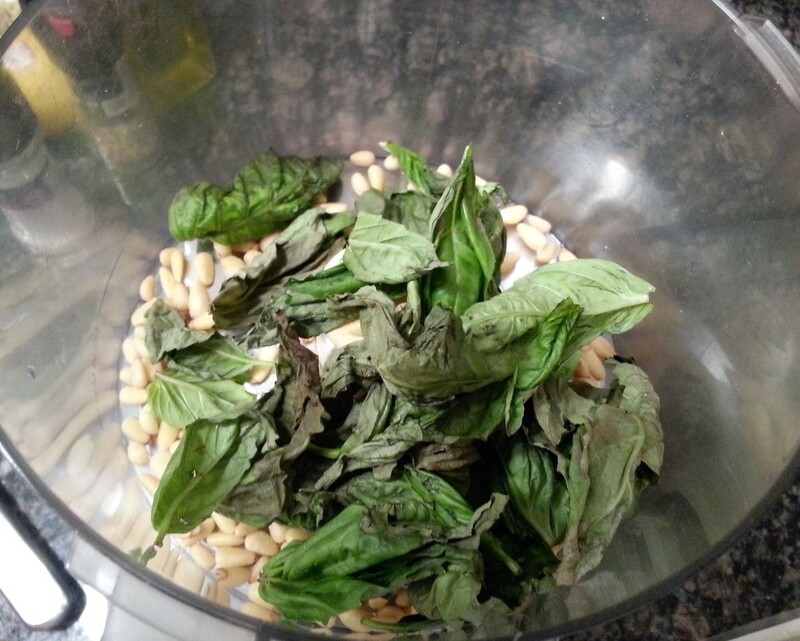 It’s typically made with basil and pine nuts, but I didn’t have enough basil so I decided to try it with kale. Spinach would be another great ingredient to substitute. The earthy, green flavor complements just about any pasta out there, including my beet ravioli! 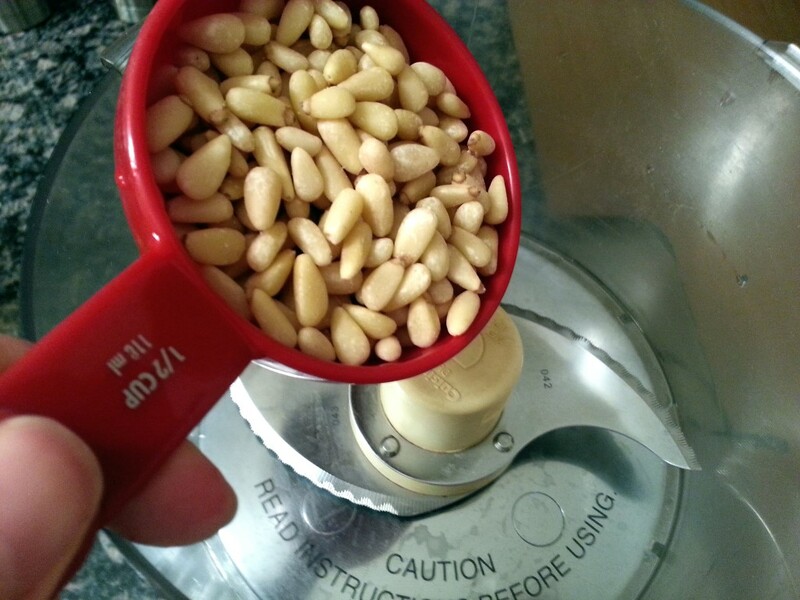 In a food processor, add 1/2 cup pine nuts, 1 cup basil, and 1 cup kale. 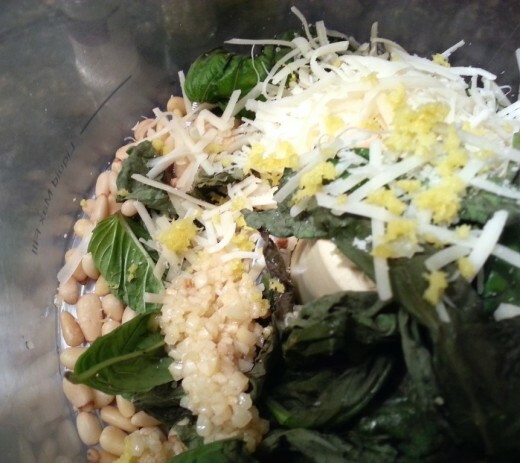 Add in the zest of half a lemon, 1/3 cup Parmesan cheese, and 1 teaspoon minced garlic. Give it a quick pulse. Then drizzle in about 1/4 cup of olive oil while the food processor is on and mixing. You may need to stop it and scrape down the sides every once in a while. 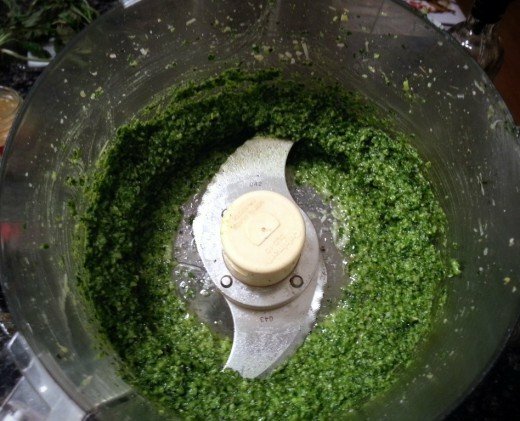 The pesto should be slightly thick, but smooth. Season with salt and pepper, then combine it with your favorite type of pasta. Serve warm or cold and enjoy the fresh taste of healthy and green ingredients! In a food processor, add pine nuts, basil, kale, Parmesan cheese, lemon zest, and garlic. Give it a quick pulse. Stream in the olive oil while the food processor is running, stopping to scrape down the sides when necessary. Season with salt and pepper. 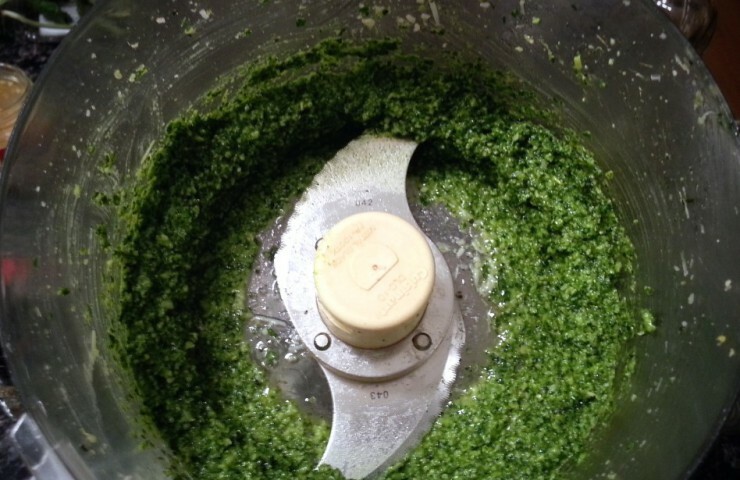 The pesto should be slightly thick, yet smooth.